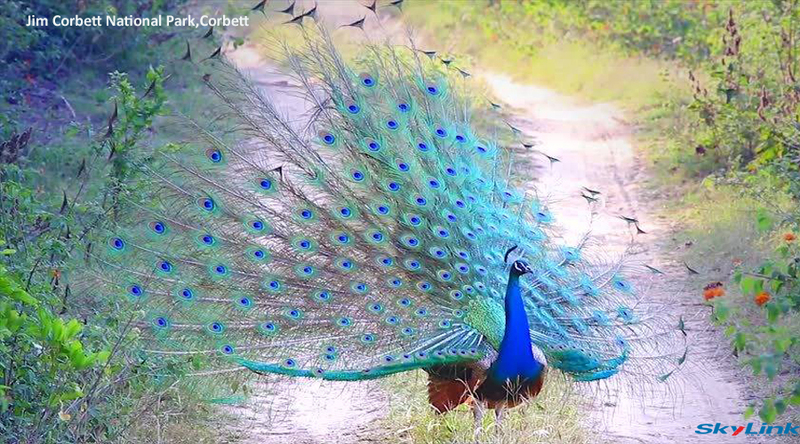 Relax in the lap on nature and have a memorable time at Patlidun Safari Lodge in Corbett that offers breathtaking scenic views of Himalayas and natural beauty. 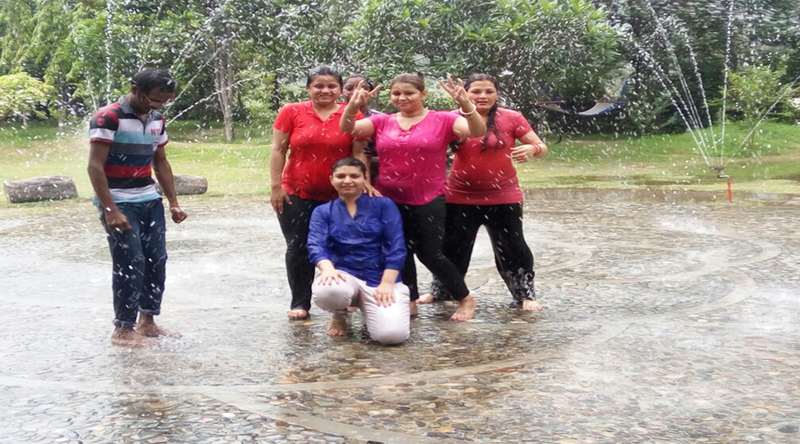 Enjoy a relaxing holiday amidst pleasant weather and calm atmosphere. Relive your special moments at this beautiful property and enjoy the best times of your life. This wildlife Luxury Lodge captures the essence of unspoilt Nature, weaves it with Kumaoni hospitality and brings you the plushest retreat youll encounter in the untamed wilds. Day 01: Delhi -Corbett (235 kms / 5/6 hours Approx): Pick up from Airport /Railway Station direct proceeds to Corbett on arrival, check-in to the hotel. Later visit for Gajria Temple. Overnight stay at the hotel. 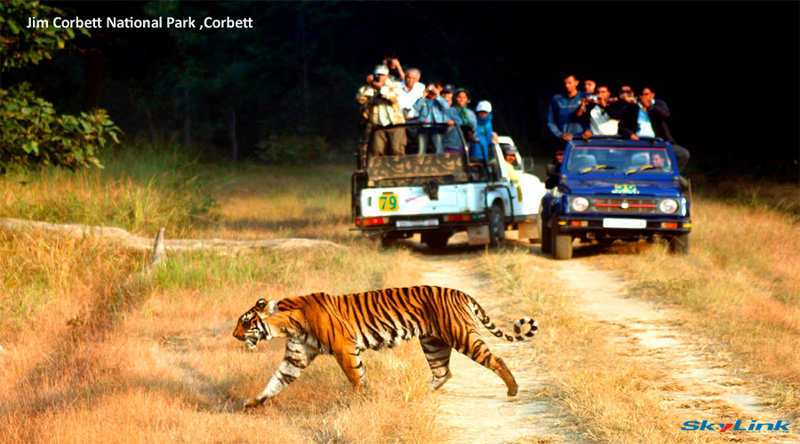 Day 02: Corbett: Early morning after breakfast later proceeds for sightseeing visit to Jim Park Corbett National Park. 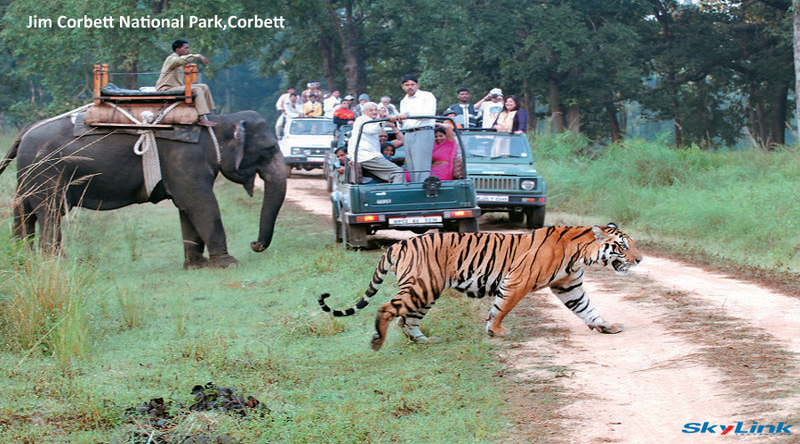 Also enjoy elephant safari/Jeep Safari (additional cost). Overnight stay in Hotel. Day 03:Corbett - Delhi (235 kms / 5/6 hours Approx): Early morning after breakfast direct proceeds to Delhi. - Including all toll,tax parking & driver allowance. - Safari will be charged at INR 9600 for Indian National and 10700 for foreign national for Bijrani / Durga Devi Zone per car with (5+1)Pax. - Introduction to the surroundings – 03 hours Nature walk around the property to sight birds & animals in the area. - Short walk of about 3 hours to the Kumouni village to observe local lifestyle and interact with locals. - Indoor Games like Billiards, Air Hockey, Table Football, Carom Board, Chess etc. - The only limited mobile phone working network in the resort is Vodafone INC.
-2 km before PAATLIDUN SAFARI LODGE, you will have to break your journey to the cheerful outpost that is called Mohan where the entire Check Inn / out process will take place, under no circumstances the Guest Cars will be allowed to the resort. 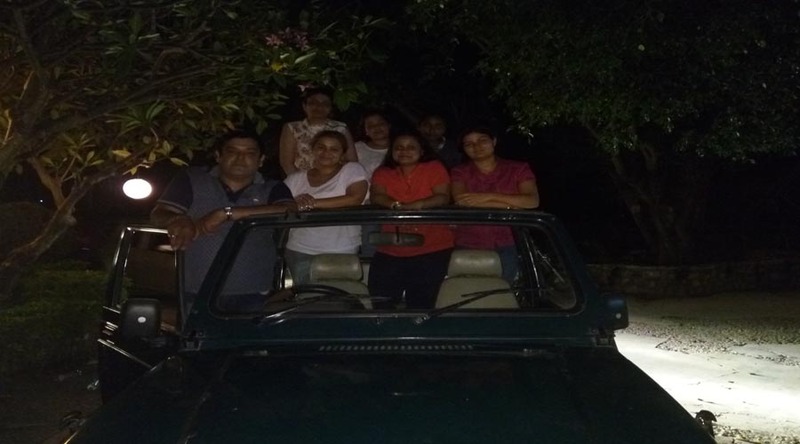 -You will be assisted by the expert Naturalists of PAATLIDUN, to explore the enchanting sights and sounds of the forest and will be further guided for do’s and Don’ts of the Jungle. - Please do carry binoculars, your personal walky-talky and some well-meaning advice on not to venture out alone after dark, The Resort can provide a working Mobile phone which will be chargeable basis. Please contact reception after your arrival or request you to place your request in advance as its first come first serve basis. 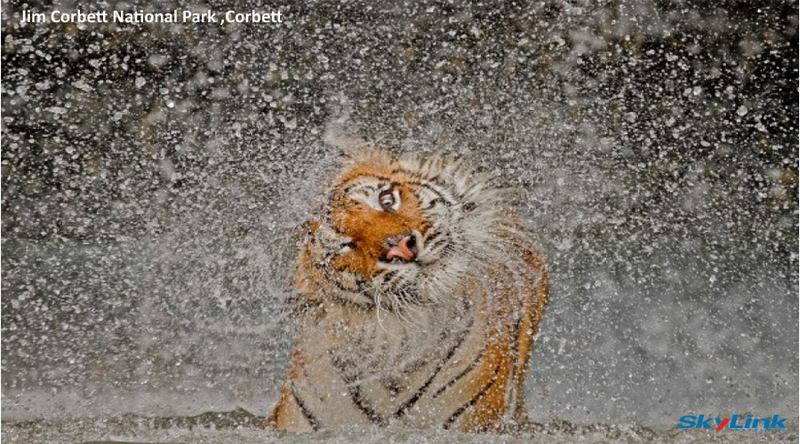 Ramnagar is perhaps the best approach to the Corbett National Park which forms the headquarters of CTR. This small city is well connected by road and rail network with major cities of India like Delhi, Moradabad, Nainital and Bareilly. 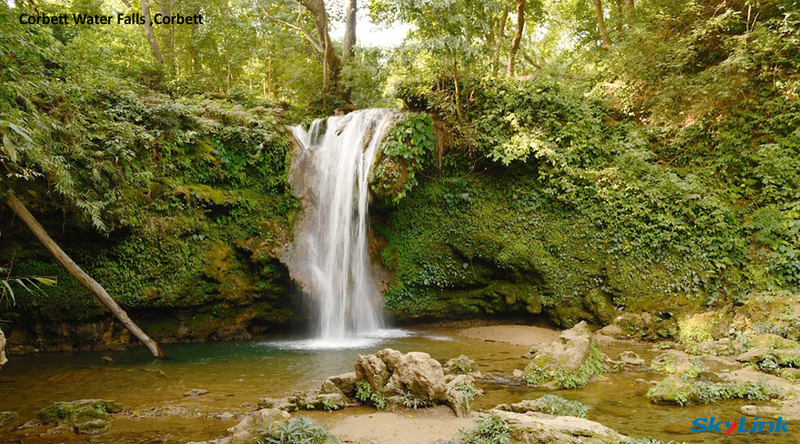 Once you reach Ramnagar, then it takes only half an hour to reach Corbett National Park. 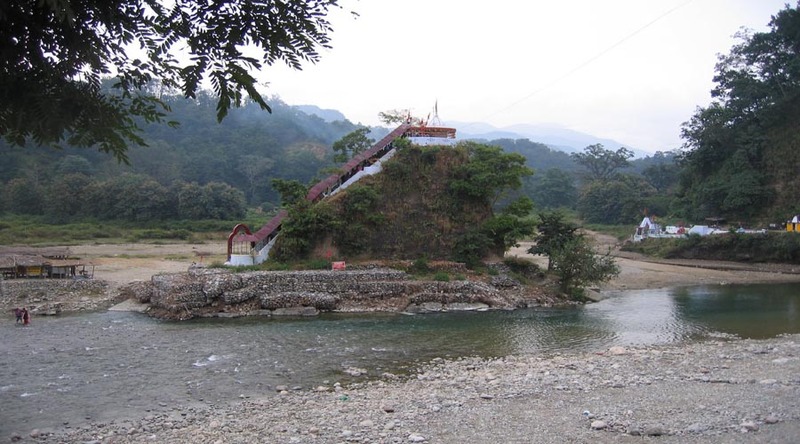 The park is around 15 Km from Ramnagar railway station. 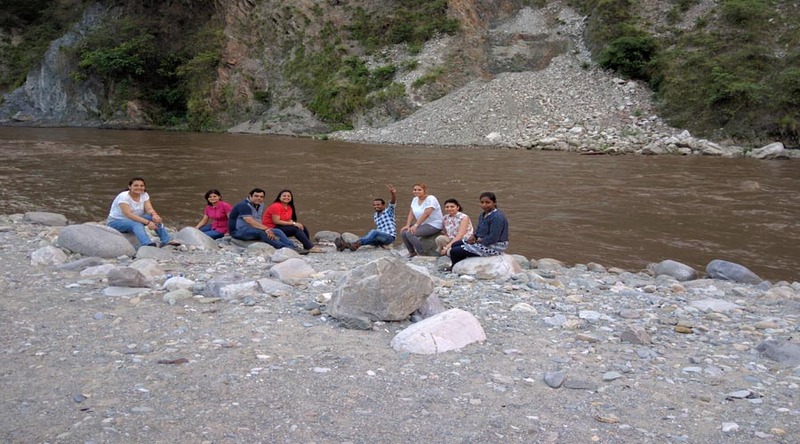 Ramnagar has a very good network of road that connects the different cities.The Corbett National Park is situated at an approximate surface distance of 260 Kilometre from India's national capital Delhi. The state government of Uttarakhand plies buses at a short interval of time from Delhi ISBT.